HiFlo MultiLink Gooseneck by Unger 19 3/4"
Strong: Hard anodized aluminum, secure connection. Compatible: Add 2 or more together to create your perfect angle. Fits Unger Modular when used with FTGOA Adapter. 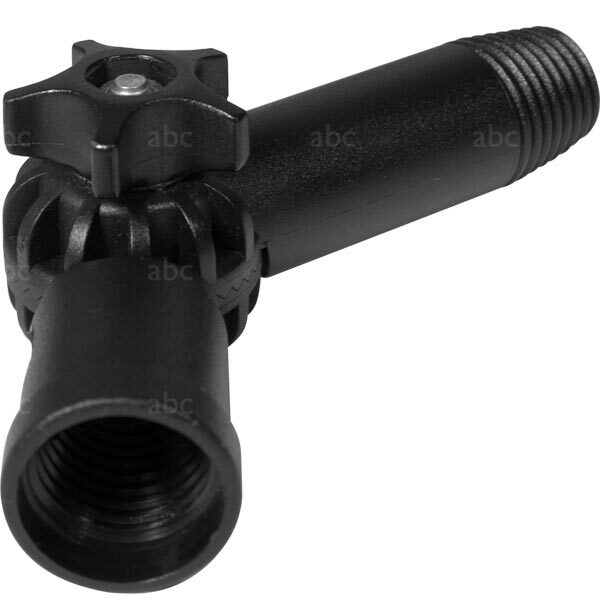 Works with most Waterfed® Poles using this type of Adjustable Angle Adapter (European threading). Use this only for deep ledges. This places a lot of stress on your #1 Section.